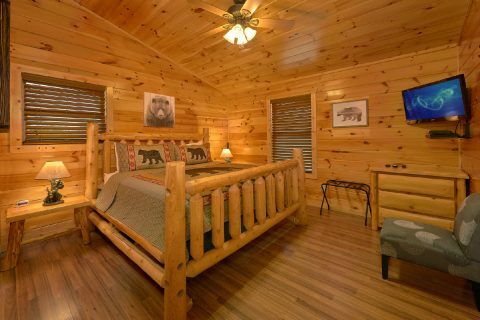 Come experience "Bear Cove Lodge," a beautiful, luxury 6 bedroom cabin located only a mile from the heart of Downtown Pigeon Forge! 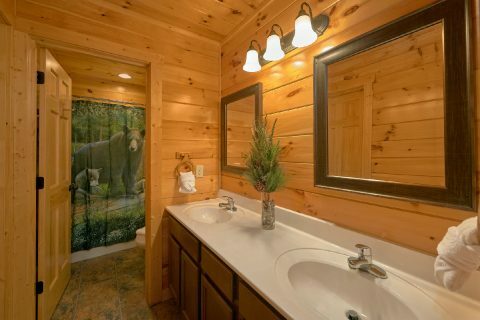 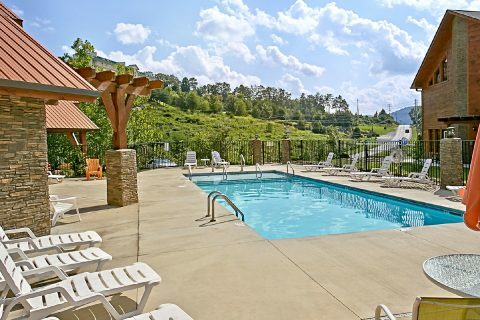 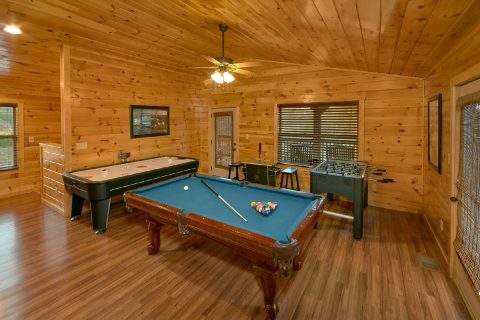 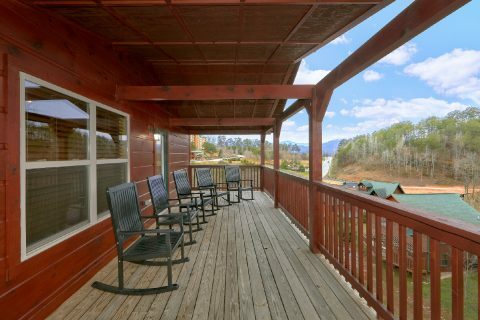 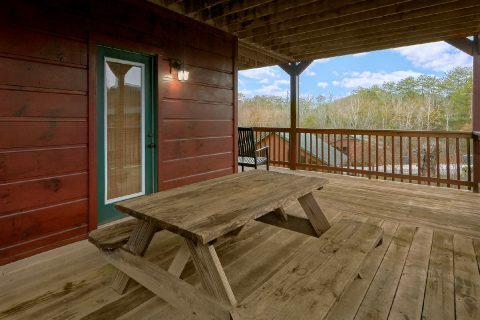 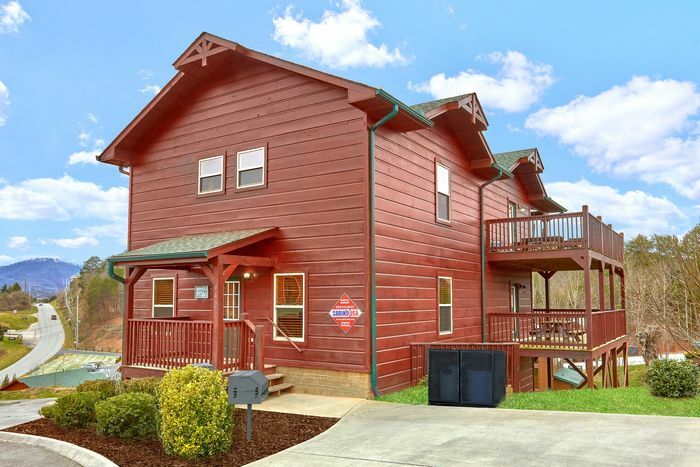 Not only does this cabin keep you close to fun attractions on the Pigeon Forge Parkway like The Island and The Historic Old Mill, but this luxury group cabin is also only a short, 3-mile drive from Dollywood Theme Park! 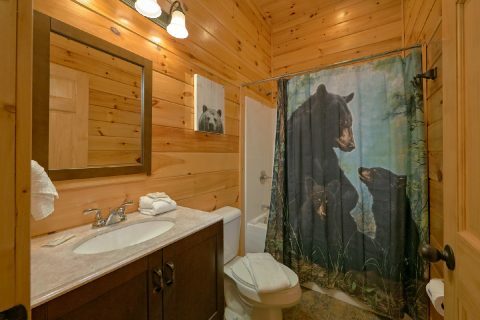 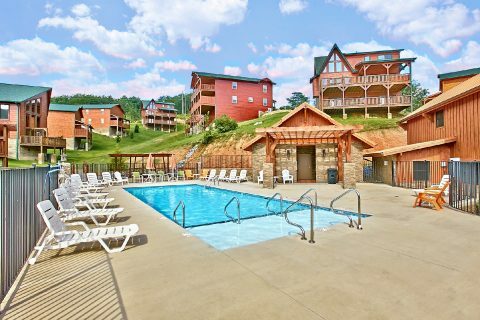 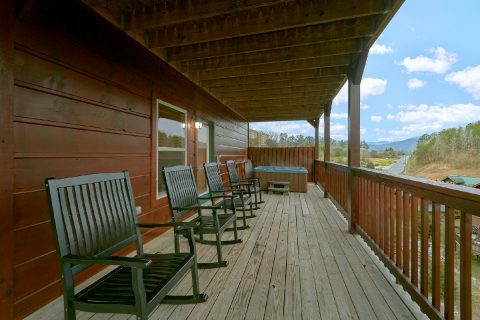 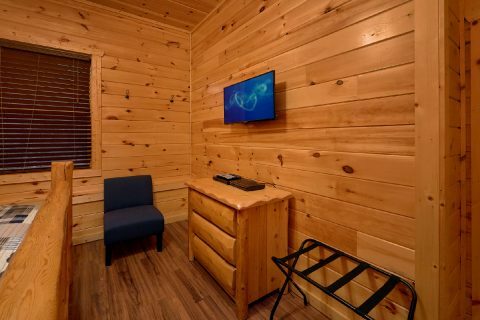 After a great day spent exploring the Smokies, you can look forward to this comfortable cabin located in the excellent Bear Cove Falls Resort area. 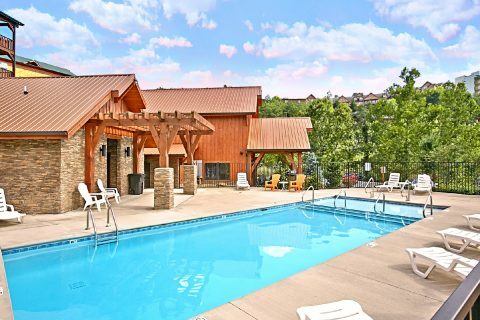 "Bear Cove Lodge" also provides you with outdoor resort pool access courtesy of this resort. 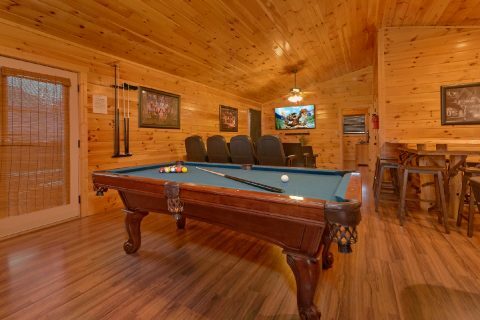 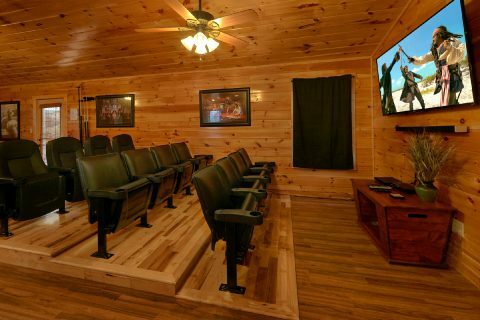 Inside this comfortable cabin, you can enjoy luxury amenities like a theater room with 12 seats and a full game room complete with an air hockey table, foosball, a multi-game arcade, and a pool table. 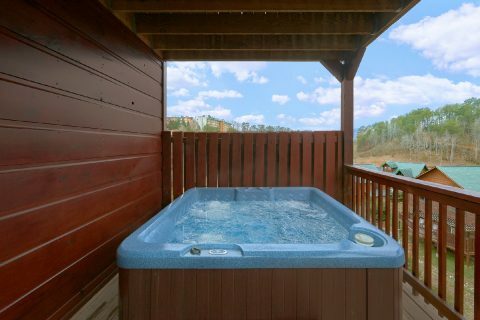 Outside, you can even enjoy taking a relaxing dip in the hot tub or just sitting out by your resort's outdoor fire pit underneath a star-filled night's sky. 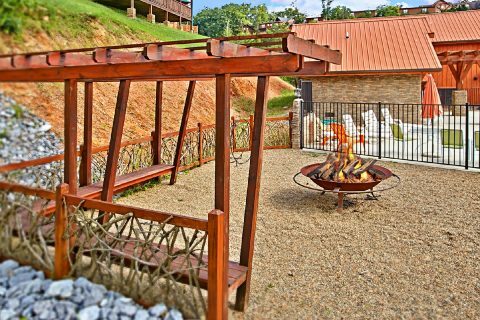 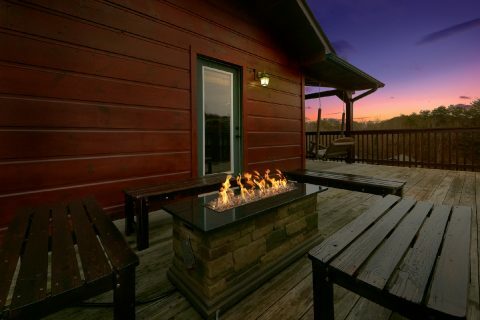 For a more private gathering of friends and family, you can enjoy this cabin’s gas fire pit on its deck. 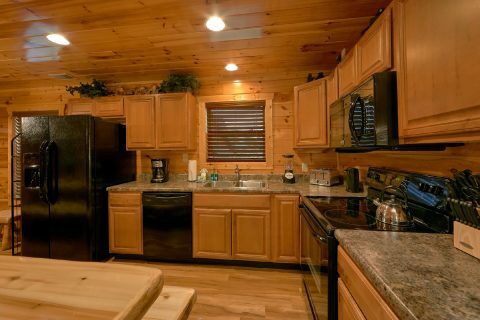 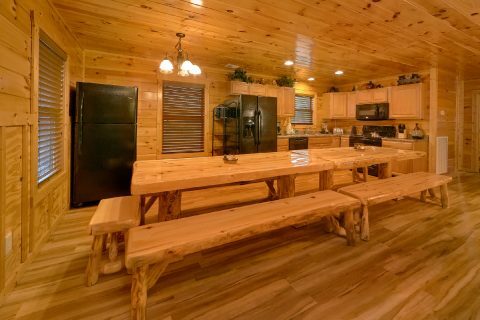 Additionally, this large group cabin provides useful amenities like a full kitchen with 2 fridges, a dining area with 20 seats, a washer/dryer, WiFi Internet, and a charcoal grill to use during your vacation. 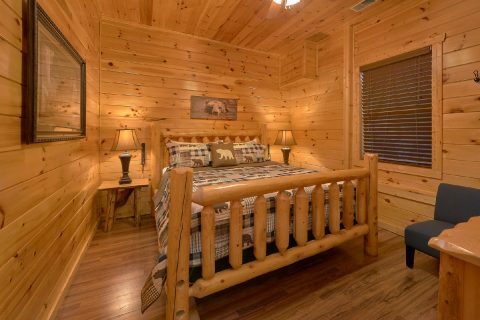 Once you're ready to get some rest, you can look forward to sleeping in one of this cabin's 6 bedrooms. 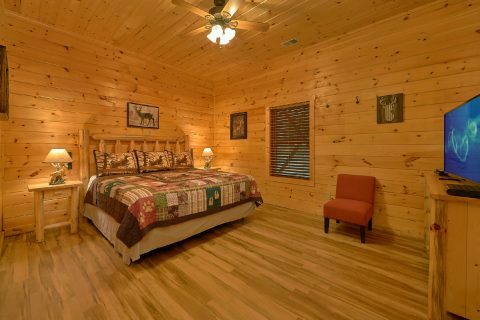 On the main floor, you'll find a bedroom with a king-size bed. 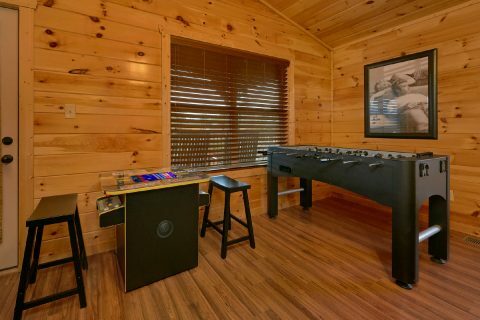 Additionally, this level is home to 2 sleeper sofas. 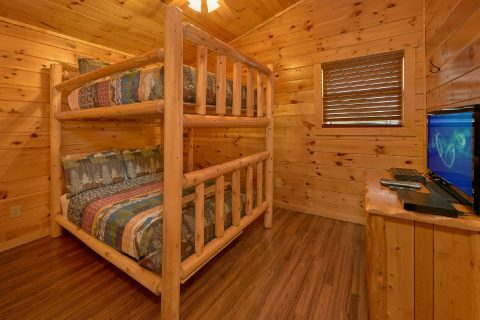 On the upper floor, you'll find another king bedroom and a bedroom with a set of full-size bunk beds. 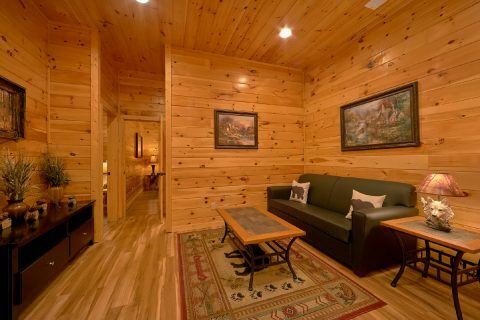 On the lower level, there are 3 king-size bedrooms and a sleeper sofa for extra guests. 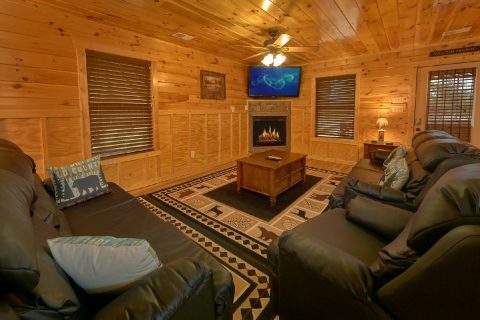 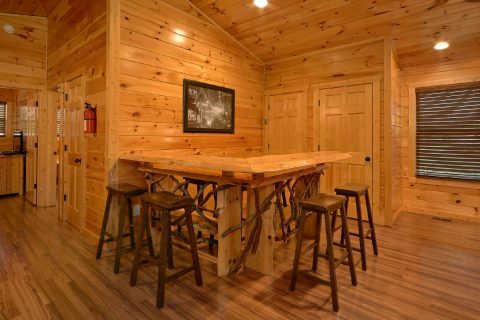 Altogether, this large group cabin in Downtown Pigeon Forge can sleep up to 18 guests in comfort. 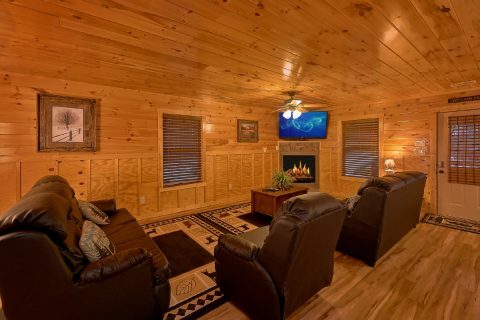 If you need more space for your group, this cabin rental can be booked alongside our other cabins in Bear Cove Falls Resort. 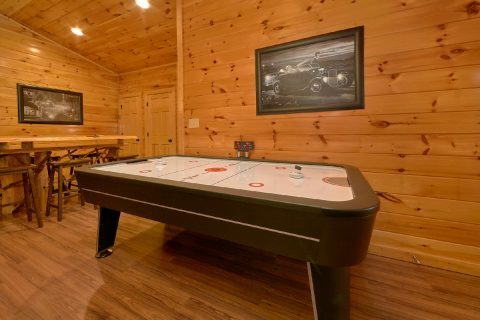 If you're interested in planning a mulit-cabin vacation, feel free to contact our helpful reservations office! 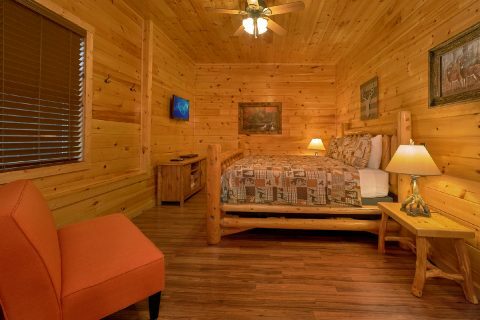 Book "Bear Cove Lodge" today with Cabins USA and you'll save 15% on your nightly rate in the Great Smoky Mountains of Tennessee!